This is another short post. I have written previously about cortical columns. I claimed that the minicolumns that comprise cortical columns are highly predictive event detectors. That is to say, the firing of a minicolumn is predictive of the firing of a minicolumn residing in another cortical column. Minicolumns owe their predictive abilities to the fact that they detect rare temporal correlations. Note to believers: The Book of Zechariah (Zech 3:8) uses the Hebrew word 'mo.phet' which means wonder, miracle, symbol or sign (of a future event) to describe the activation of a 7-node minicolumn. That is to say, the activation of a minicolumn (the stone with seven eyes) is a rare event that announces another event. Temporal correlations run the gamut from highly correlated to occasionally correlated concurrent signals. The signals that arrive at the entry or bottom layer of the neocortex come from highly correlated patterns. As one climbs up the cortical hierarchy, the minicolumns detect less and less frequent correlations. It just so happens that the less frequent a correlation is, the more deterministic it also is. A fully deterministic prediction is one that has only one predictor. In other words, minicolumns at the higher levels of the cortical hierarchy are very deterministic. How would people from different countries, cultures and religions react if artificial general intelligence suddenly arrives on the world scene (say, in the form of a human-level intelligent robot) and it is clearly demonstrated that the science behind it was written down thousands of years ago in metaphorical texts of the Old and New Testaments? In my opinion, the scientific community would, at first, try its best to discredit the claim but eventually most of them would be forced to acknowledge the truth of it based on the evidence. Christians and believing Jews would probably be inclined to accept it as a sign from God. I have no idea how the other religions (Islam, Buddhism, Hinduism, etc.) would react. I'm hoping some of my readers may want to chime in with their own personal insights. I was wrong about the need for a pattern hierarchy in the thalamus. There is no 10-level binary tree. The only memory hierarchy is in the cortex and it is a hierarchy of minicolumns. I was wrong because I trusted my own flawed assumptions over the occult texts that I use in my AI research. I should know better by now. The texts are never wrong. I have no excuse. The result of this latest revision is that pattern learning is much, much faster and easier to implement than I had assumed. There are about four times as many sensors as pattern neurons and the pattern neurons have only four inputs on average. My newest experimental program now has fewer neurons than before and its recognition accuracy and noise tolerance have improved dramatically. I am working on a demo application (speech recognition) that I plan to release without the learning module (sorry). What will make this app special is that it will have unprecedented (spooky might be a better word) noise immunity. However, I do not want to attract too much attention. I don't need it. So I must plan this carefully. Hang in there. I changed my mind about writing an article on the purpose of cortical columns. Too risky in my opinion. Instead, I decided to write about the cerebellum, an important but a much less disruptive part of the brain. In this article, I argue against the hypothesis promoted by some in the neuroscience community that the cerebellum contributes to speech generation. Caveat: This article is for believers only. The cerebellum means little brain in Latin. It is smaller than the neocortex but don't let this fool you. It contains more neurons than the rest of the brain. It is an unconscious supervised neural network that handles a large number of routine but important sensorimotor tasks while the conscious cortex is busy with other matters. Examples are walking, running, balancing, maintaining posture, etc. The cerebellum makes it possible for the brain to multitask. It is probably best to think of the cerebellum as an automaton, a robotic assistant to the cerebrum, the conscious or volitional part of the brain. The cerebellum can neither learn nor initiate a task on its own. It is entirely subservient to the neocortex and fully dependent on it for its training. It is a mindless zombie in that it does what it is told to do without question. It will make mistakes because it cannot handle new situations that it was not programmed to handle. This is why it's not a good idea to drive or even walk while texting. Mainstream neuroscientists incorrectly attribute speech production capability to the cerebellum. They do so for two reasons. First, they do not understand the purpose and function of the cerebellum. Second, they misinterpret clinical data showing speech impairments in patients with cerebellar lesions. The truth is that speech production is a fully conscious phenomenon that requires no input from the cerebellum. Speech difficulties arise only because the conscious cortex cannot focus on more than one thing at a time and must attend to important tasks that it would normally rely on the cerebellum to handle automatically. People with cerebellar disorders must find ways to compensate for the deficiency. Depending on the severity of the problem, some stop talking altogether (a condition called mutism) because they are forced to focus their attention almost exclusively on sensorimotor tasks (e.g, walking, maintaining posture and balance, etc.) Others learn to speak in a staccato voice (often accompanied by a trembling posture) during which they rapidly switch their attention between speech generation and sensorimotor tasks. It is a form of imperfect multitasking. Interestingly enough (and this supports my claim that the cerebellum does not produce speech), people with speech impairment caused by cerebellar disorders can sometimes speak normally. Their voices can return to normal if they lie down in a relaxed position which relieves them of the necessity to attend to other tasks. I initially became interested in the cerebellum after deciphering the occult message to the Church in Laodicea in the Book of Revelation. 18 I counsel thee to buy from Me gold tried in the fire, that thou mayest be rich, and white raiment, that thou mayest be clothed and that the shame of thy nakedness may not appear, and anoint thine eyes with eye salve, that thou mayest see. 20 Behold, I stand at the door and knock. If any man hear My voice and open the door, I will come in to him, and will sup with him, and he with Me. 21 To him that overcometh, will I grant to sit with Me on My throne, even as I also overcame and am set down with My Father on His throne. It did not take me long to figure out that the Laodicea message was a description of the cerebellum and that verses 15 and 16 obviously meant that the cerebellum was not involved in activating muscles used by the mouth and tongue. But why? We are told that it is because the Church of Laodicea is "neither cold nor hot." What does this mean? It means that the cerebellum is not controlled by emotions. It has neither likes nor dislikes, i.e., no motivation or goals. It is a zombie. Speech production must always be a volitional and conscious process because it requires intent. The cerebellum is a fascinating neural network consisting of many highly specialized sub-networks. As always, the occult texts can pack a lot of amazing information in just a few short verses. This is the power of metaphors. The Book of Revelation gives a detailed description of its organization and function. 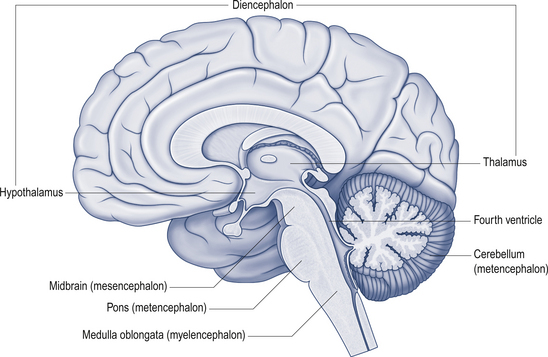 I'm a little busy right now but I plan to write an article to explain how the cerebellum is organized, what type of sensory signals it receives, how it learns directly from the motor cortex and how sensorimotor programs are activated. Stay tuned. In September of last year, I wrote an article to describe a fast method used by the brain to learn elementary patterns using spike timing. I just want to show in this quick post that pattern learning can be much faster if we take advantage of the Yin-Yang or complementary nature of the brain. The reason is that, if everything in the brain comes in complementary-opposite pairs, learning one component of a pair automatically learns its complement. The trick is to always create and connect everything in pairs. Thus every sensor or pattern detector belongs to a dual entity. For example, a sensor that detects the onset (first signal) of a stimulus is paired with another that detects the offset (last signal) of the same stimulus. Likewise, a pattern neuron that detects the movement of an edge in one direction is paired with another pattern neuron that detects the opposite movement. The title of this paragraph comes from the occult book of Revelation where I get a huge part of my understanding of intelligence. It is a good idea to think of paired entities as a single object or complementary unit (CU). This way, instead of connecting a sensor to a pattern neuron, we can connect a sensory CU to a pattern CU, thereby killing two birds with one stone, so to speak. This is where it gets interesting. During learning, both connections can fail the concurrency test but if one of them passes, there is no need to continue testing the other connection. One successful test is enough to certify both connections. In other words, two failures (two deaths) are needed to disconnect the CU but a single success is not nullified by the failure of the other connection. I could be wrong but this is my current interpretation of the metaphorical message to the Church in Smyrna. A similar approach is used in the cortex where all columns are organized in complementary pairs. The end result is that, since not all connections have to be tested, pattern learning in both the thalamus and the cortical columns is much faster than it would be otherwise. Note: I have been thinking of writing an article to explain the true purpose of the cortex and its 100 million cortical columns. I am currently weighing the pros and cons. Hang in there. In December of last year, I wrote a two-part article on how I came to understand the Yin-Yang organization of the brain. I have known for a long time that the Yin-Yang principle was the basis of reality and I came to understand that complementarity was absolutely essential to the organization of the brain. Thanks to my research in deciphering the meaning of certain occult texts, I discovered that each hemisphere of the brain consists of two separate but complementary hierarchies. These are symbolized by two olive trees. How are our brains functionally organized to achieve adaptive behavior in a changing world? This article presents one alternative to the computer metaphor suggesting that brains are organized into independent modules. Evidence is reviewed that brains are organized into parallel processing streams with complementary properties. Hierarchical interactions within each stream and parallel interactions between streams create coherent behavioral representations that overcome the complementary deficiencies of each stream and support unitary conscious experiences. This perspective suggests how brain design reflects the organization of the physical world with which brains interact. Examples from perception, learning, cognition, and action are described, and theoretical concepts and mechanisms by which complementarity is accomplished are presented. In the same paper, Grossberg offers a hypothesis to explain how the brain handles sensory uncertainty using parallel streams and multiple stages or levels in the hierarchy. I propose a somewhat similar solution which also uses multiple levels and parallel streams but is implemented via feedback pathways in the cortex and the thalamus. If you have any interest in how the brain works, I heartily recommend that you read Grossberg's work on complementarity. Needless to say, nobody in mainstream AI is thinking along these lines even though some of them claim to base their research on neuroscience. They are lost in a lost world. AGI will not come from the mainstream. Note: Below is a repost of an April 14, 2010 article that is sure to ruffle a few feathers but you know me. As always, I make no apologies to anyone. Just a quick note to announce that I am considering moving this blog to a new platform, possibly Minds.com. If anyone has an alternative suggestion, please comment below. Thanks. Note: This is a repost of a previous article. I thought I'd point out that Stephen Hawking, in spite of all his supposed brilliance, never noticed something about the universe that should be glaringly obvious to every physicist, especially one with his supposed high intelligence: There can only be one speed in the universe, the speed of light. The truth about the speed of light will surprise everybody, physicists and laymen alike. There is actually only one speed in the universe and that is the speed of light. Nothing can move faster or slower, period. A particle moves by making quantum jumps at the speed of light interspersed with rest periods. The duration of a rest period is equal to that of a jump. If a particle appears to move at half the speed of light, its motion actually consists of an equal number of jumps and rest periods. At the speed of light, it is all jumps and no rest periods. At ordinary speeds, a moving particle is at rest almost all the time with just a few jumps sprinkled in. Why is there only one speed in the universe? Again, the actual reason will surprise. In spite of all the indoctrination and the incessant relativist propaganda we have been subjected to in the last one hundred years or so, there is no such thing as a time dimension. A time dimension would make motion impossible. Why? The short answer is that moving in time is self-referential. The slightly longer answer is that a change in time implies a velocity in time which would have to be given as v = dt/dt = 1, which is nonsense. This is why nothing can move in Einstein's spacetime and why spacetime is a block universe in which nothing happens. All that time travel through wormholes stuff is crackpottery, of course. But please do not mention this to Star Trek fanatics. Since there is no time dimension, nature cannot calculate durations. This means that all jump durations are equal to a fundamental duration, which is the interval it takes a particle to move a fundamental distance, a very minute length that some believe is the Planck length. The interval is Planck time. The non-existence of a time dimension explains other phenomena as well, such as why particle decay is probabilistic. But the crackpottery of spacetime goes much further: there is no space either. There exist only particles, their properties and their interactions. Everything else is either abstract or BS. Physics is a lot more interesting than any of us suspected. I know this is not a popular opinion but I was no fan of Hawking. I am no fan of materialists who believe and teach others to believe that they have no souls and are just machines. I am no fan of people who believe that the universe created itself and that life sprung from inert dirt by chance. I am certainly no fan of any so-called physicist who believes and teaches others to believe that time travel is physically possible. Such a person is a crackpot and/or a charlatan in my view. But this is not the end of Hawking. He is just asleep. As a Christian, I know that a day will come when his soul will be resurrected in a new body and he will learn the truth that he spent his entire life and career denying. May Yahweh have mercy on his soul. And yes, I still mean every word of this article that I wrote eight years ago: Sitting on a Mountain of Crap, Wasting Time. Harsh words, yes. But I apologize to no one. This is a quick post for the benefit of the agnostics and believers among my readers. In my last few articles, I made highly specific predictions about the functional organization and the architecture or design of the cerebral cortex. Note that, although some of my predictions and explanations could be wrong (I am a researcher and I do make mistakes), these are not things that I could have learned from any available scientific literature. Neurobiologists do not know these things. No expert in the field understands what cortical columns and minicolumns do. They have absolutely no clue. They do have some knowledge about what type of sensory stimuli will activate certain columns but that's about it. I could not possibly have figured these things out on my own. I have neither the resources nor the education to conduct brain research. I am claiming that I get my knowledge from a completely unorthodox source. I am claiming that I figured these things out, not by researching the scientific literature, but by studying occult Biblical texts that are thousands of years old. This is the kind of claim that gets me branded a kook and a crackpot by people in both religious and scientific circles. But I don't care and you know why? Because I don't write for them. I am not trying to convince them that I am right because I don't value their opinion of me. I know who the real master of the universe is. They are not it. Not even close. If I partake in conversations on the internet with non-believers, I do it just for the record. I write only for the believers who are searching for a sign. My personal message to them is that things are happening. Big things. We are getting close to the time of the end of this world order and the dawning of the next one. Rejoice! Above all, do not let the chaos and madness of the world get you down. It is going to get worse, much worse as we approach the end. Just hang in there. We got powerful forces on our side. Previously, I argued that cortical feedback connections were essential to handling sensory uncertainty and to cortical learning. In this article, I delve further into how learning works in the cortex. But, first, a word about the Yin-Yang brain. We must keep in mind that the cortex in each hemisphere of the brain actually consists of two mirror opposite hierarchies. That is to say, every cortical column has a complement or opposite column. Although logically linked, the two reside in separate but complementary hierarchies (trees). The same is true for the minicolumns within the columns. If a connection is made to one minicolumn, a complementary connection is automatically made to its opposite. This Yin-Yang architecture also applies to the thalamus (which is where elementary pattern detectors are) and the rest of the brain. The main reason for having a Yin-Yang brain is that we live in a Yin-Yang reality. It is for this reason that biological sensors and effectors come in complementary-opposite pairs. Another reason has to do with attention, the ability to focus on one object while ignoring all others. As I will explain in a future article, the brain has an efficient way to cluster a large number of elements to form a single object. Clustering is crucial to invariant object detection and ultimately to survival. This is an unsolved problem in mainstream AI. The brain uses precise timing to solve the problem: It assumes that all the elements that comprise an object are temporally correlated. The flaw in this solution is that opposite phenomena are not temporally correlated. For example, the motion of an object moving left in the field of view is not temporally correlated with its motion to the right. In fact, the two phenomena do not use the same sensors and pattern detectors. Thus the correlation is not temporal but logical. This is not something that is learned. The brain has innate neuronal mechanisms to handle Yin-Yang logic and thereby marry two opposites into one entity. For the sake of clarity, I will assume in this article that there is only one hierarchy. The main function of sequence memory is to combine lots of small elementary patterns into arbitrarily complex objects on the fly, even objects that it has never seen before. It is called sequence memory because the building blocks (minicolums) of the objects are also nodes in highly predictive sequences. Like pattern memory, sequence memory is a hierarchical, feedforward, multilayer, unsupervised, spiking neural network. The bottom layer receives input signals directly from pattern memory. Every layer in the hierarchy, except the top layer, sends outputs to the layer right above it. Sequence memory consists of a large number of work-alike neuronal structures called cortical columns or macrocolumns. 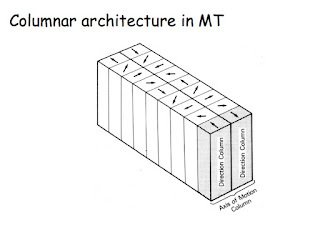 The main function of cortical columns is to detect unique combinations of patterns as they occur. Each column consists on average of 100 minicolumns, each of which attempts to learn a unique pattern combination. Note: I modified the cortical column diagram that I used in the previous article to better show all the inputs, outputs and feedback connections. As seen above, every minicolumn has 1 feedforward output and 7 inputs (6 associate inputs and 1 primary input). The primary input of a cortical column is the only input that is common to all the minicolumns within that column. Inputs to a column originate from either pattern memory or another level in the sequence hierarchy. Outputs are connected to the level immediately above if any. Every input or output connection is paired with a feedback connection. This means that each minicolumn has 1 feedback input connection (green) from the layer immediately above its own and 7 output feedback connections (blue) that send signals down the hierarchy. There is an existing population of cortical columns waiting for input connections. There are a number of pattern detectors or minicolumns that have no output connections. A small percentage of inputs from either pattern detectors or minicolumns are chosen randomly to be the primary inputs of the cortical columns. The rest will be associate inputs. A pattern detector or minicolumn can only make one output connection to a target minicolumn. Within any column, learning advances one minicolumn at a time. Only perfect pattern signals are used for learning. A signal from a minicolumn is considered good enough if the equivalent of two or more of its connections fired. An input connection to a minicolumn immediately passes the test if it fires concurrently with all existing inputs on that minicolumn. Once a minicolumn has acquired all seven inputs, it is considered mature and learning continues with another minicolumn in the parent column. Unless they are located at the top level, fully populated minicolumns send their output connections up the hierarchy where the same learning method is used. Keep in mind that this learning method will make bad connections every once in a while. As I explained in the previous article, the brain gets rid of bad cortical connections during REM sleep. Learning in sequence memory is extremely fast for several reasons. First, a connection needs only pass the concurrence test once. Second, the connection is not severed if it fails the test; it can be tested on the same minicolumn multiple times. Finally, a huge number of connections can be tested simultaneously. The requirement that a minicolumn fires if only an equivalent of 2 or more of its input connections fire is very powerful. This is what allows us to recognize abstract art and see objects in the clouds. How the equivalence is computed is slightly more complicated than it sounds but I'll leave that to a future post. Stay tuned. 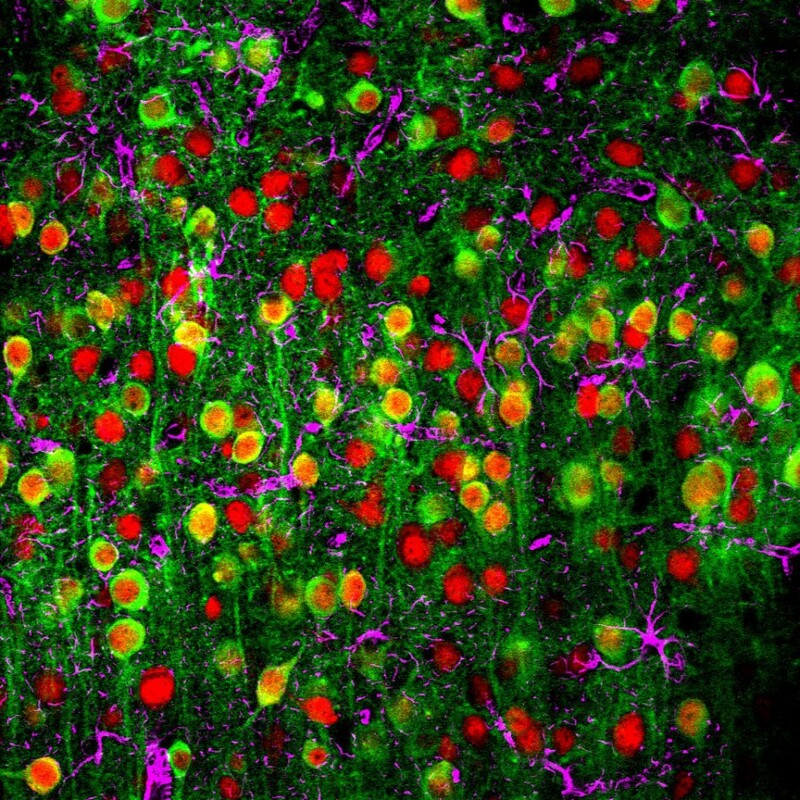 Neurobiologists have observed (see references at bottom) that neurons in the thalamus, the part of the brain that receives input connections from the body's sensors, not only send output connections to cortical columns in the cerebral cortex, but receive reciprocal feedback inputs from the same columns. No one knows why this happens. What follows is a novel hypothesis that explains the function of the corticothalamic feedback connections as an essential part of the mechanism of sensory perception and learning. Important note: I am neither a neurobiologist nor a neuroscientist. I get almost all my understanding of the brain by deciphering ancient Judeo-Christian occult texts. If this bothers you, then this article is obviously not meant for you. Sorry. In order to understand why the brain's perceptual system uses feedback signals, it is essential to have an idea of what it is trying to do, how it is organized and the function of its subsystems. The diagram above is the hypothesized perceptual model. It posits that the thalamus (pattern memory) is where the brain stores a huge number of elementary pattern detectors. These send their output signals directly to the cortex (sequence memory) where they connect to a myriad neuronal structures called minicolumns. These are contained inside bigger structures called cortical columns. There are approximately 100 million cortical columns in the human brain and each has 100 minicolumns on average. Each minicolum consists of 6 associate inputs and 1 primary input. The role of a cortical column is to learn as many pattern combinations as possible. Every connected minicolumn in a column is a different manifestation of the primary input of the column. The green arrow in the diagram represents the feedback signals that return to the origins of the feedforward signals, which are the pattern detectors in the thalamus. The number of feedback connections is equal to that of the feedforward connections. Cortical columns (see previous article) are arranged in a feedforward hierarchy of up to 20 levels or regions. Pattern signals arrive at the bottom or entry level and percolate up the hierarchy as far as they can go. The activation of a topmost minicolumn signifies that a complex object or pattern has been detected. Normally, many top minicolumns in the hierarchy will fire simultaneously depending on the complexity of the object. Think of an object as a mountain with many peaks and plateaus. How they are clustered together to form a single object is the subject of a future article. Keep in mind that the exact composition of an object is not learned. It is composed instantly even if the brain have never seen it before. What is important to realize is that pattern detection does not occur until and unless a minicolumn has fired. This is how the brain handles sensory uncertainty. The problem is that pattern signals arriving from the thalamus are rarely perfect due to occlusions, noise and other accidents. The minicolumns are, likewise, rarely perfect. The brain solves the uncertainty problem by using a threshold level in its minicolumns that must be reached or surpassed in order to warrant a detection event. When this happens, a topmost minicolumn emits a feedback signal that quickly cascades down the hierarchy one level at a time, branching out as it does, all the way down to the source pattern detectors in the thalamus. The signal branches out because every one of the 7 inputs to a minicolumn is paired with a reciprocal feedback output directed down the hierarchy. In other words, when a minicolumn fires or receives a feedback signal from above, it immediately outputs 7 feedback signals down the hierarchy. This grows exponentially at each level. The most important reason for having feedback signals, as explained earlier, is that this is the fastest and most energy-efficient way to solve the uncertainty problem. The solution is to enlist the contribution of many parallel inputs during the detection process. A high enough number of signals arriving at a topmost minicolumn is enough to overcome uncertainty. Contrary to common wisdom, the brain is not a probability thinker but a cause-effect thinker. The brain assumes a perfect and deterministic world. When we recognize grandma, it's not 50% or 90% grandma. It's either grandma or no grandma. The cortex is the seat of episodic memory. When a minicolumn receives a feedback signal, it immediately records a memory trace and the time of the activation. This is crucial because this recording affords us not only a way to recall past events but also makes it possible to predict the future. Of course, the memory trace dissipates quickly unless it is rehearsed repeatedly. 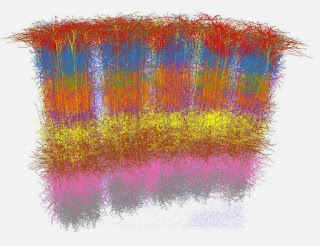 Learning in the cortex consists of forming pattern combinations one minicolumn at a time. It is important that learning be as fast as possible. Random inputs are connected to a minicolumn and tested to see if they arrive concurrently. If an input passes the test only once, it immediately becomes a permanent connection. While this learning method is very fast, it can result in erroneous connections because of chance occurrences. There must be a way to correct the errors. Finally, the reason that the thalamus receives feedback signals is that connections to the first level of the cortical hierarchy are learned in the thalamus. 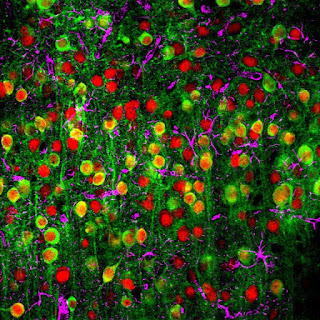 The reason for this is that learning (searching for viable connections) in the thalamus is faster and easier due to the sheer number of pattern neurons. The thalamic connections must also be strengthened by feedback signals and disconnected during REM sleep if they don't behave as expected and are therefore weak. To sum up, feedback signals are an integral part of the brain's cortical learning mechanism and its ability to process imperfect sensory signals. In the cortex, they contribute to episodic memory. In the thalamus, their only function is to strengthen good connections and disconnect bad ones. In a future article, I will go over how the cortex clusters large numbers of minicolumns to form invariant objects or concepts. Clusters are also part of the brain's attention mechanism. Understanding the organization and function of the cortical column is essential to figuring out how the brain works. What follows are partial results of my brain/intelligence research over the years. Unlike deep neural nets, the brain can instantly see a complex object that it has never seen before. How does it do it? It learns lots of small elementary patterns (lines, edges, bits of sounds, etc.) by creating simple sensors that reside in the thalamus. All elementary patterns come in opposite/complementary pairs. They are the building blocks of all objects. The brain can instantly reuse them to detect any complex object on the fly. This is crucial to survival. Object detection is the job of millions of cortical columns. These are organized into two yin-yang or mirror hierarchies of up to 20 levels. The object detection process is fast and simple and requires little computation. Signals from pattern detectors simply percolate up the hierarchy according to their temporal signatures. An entire detection process, from elementary pattern detections to recognition feedback signals, takes about 10 milliseconds. Each column can learn dozens of small pattern combinations stored in minicolumns. The combinations in every column revolve around a single pattern detector called the primary input. Only one combination can be detected at a time. Each minicolumn has one output that is sent to a higher layer. Each also receives a feedback connection from the layer above it. Feedback signals are recognition events that serve to correct incomplete pattern detections. How the combinations are learned is the topic for a future article. The cortical hierarchy is a magnificent machine. It can do all sorts of beautiful and wonderful things that I cannot go into in this article. I will conclude by adding that an activated topmost minicolumn in the knowledge tree (a branch) represents a complex sensed object or pattern at a point in time. I don't know when but there will be more to come. Stay tuned. I'm just busy developing a smartphone application for the hearing impaired market. It's slow going but I'm hoping I can use it to raise enough money for much bigger robotics projects I have planned for the future. Stay tuned. People Ask Me, What Do You Have Against Deep Learning? A deep neural net learns complex patterns but the brain does not. The brain can instantly see a new complex pattern without learning it. Huh? That's right. In fact, almost everything the brain sees is new, that is, seen from different angles or under different lighting conditions. There aren't enough neurons and synapses in the brain to store all the possible patterns that it would need to learn in order to interact with the world. We can instantly see complex objects or patterns that we have never seen before. A deep learning system would be blind to them. We only remember high level bits and pieces of the patterns that we see. Most of the low level details are either forgotten or are written over by new experiences. As the late philosopher and AI critic, Hubert Dreyfus, was fond of saying, the brain does not model the world. The world is its own model. The brain simply learns how to see it. There is huge difference between the two, one that I hope will, one day, be common knowledge in the scientific community. Dreyfus was saying this decades ago. He was at least a hundred years ahead of mainstream AI. Note: This article is not meant for atheists or materialists. It is for believers only. Sorry. When thinking about how sequence learning might work in the brain, most people would imagine some sort of neuronal mechanism that strings activated nodes (minicolums) together, as one would string pearls to form a necklace. Well, this is not the way it works. Surprisingly, the brain has no special mechanism for sequence learning. The brain forms the pearls that will go in the necklace but does not string them together. Sequence learning occurs automatically. That is to say, the pearls know where they belong in their sequence. It gets even better. If the order of the sequence changes for whatever reason, the pearls will automatically rearrange their positions. How is that possible? The trick is to use a timer. I have always maintained that the brain is essentially a massive timing mechanism. The hippocampus can generate special spike trains that are sent out to the cortex and used for timing purposes. When a node is activated, the time of its activation is immediately recorded and the node is given an initial activation strength. This is what neurobiologists and psychologists refer to as a memory trace. Unless reawakened multiple times and strengthened, the trace dissipates and the memory is gone. What is interesting is that, during recollection, the brain can use the same spike trains internally to reactivate the nodes in the exact order in which they were activated. Wake up, and strengthen the things that remain, which were about to die; for I have not found your deeds completed in the sight of My God. So remember what (how) you have received and heard; and keep it, and repent. Therefore if you do not wake up, I will come like a thief, and you will not know at what hour I will come to you. I apologise for taking down the previous article about the cortical column. I just don't think it is the right time for that knowledge to be released. Not yet. Sorry. Just a quick post for the record. My original model of the cortical column was in error. The column does not represent a sequence of nodes, as I assumed back then, but a single node in a long sequence. Each minicolumn is a different manifestation of that one node. I was right about one thing: only one minicolumn can be activated at a time. The activation of a minicolumn is very deterministic and highly predictive: it has only one successor and one predecessor. That's all for now. Yaskawa Electric’s industrial robot Motoman. I need money to finance a robotics project. I would like to build an intelligent robot cook, one that is smart enough to walk into any equipped kitchen and fix a meal of scrambled eggs with bacon, toast and coffee, and clean up afterwards. Mainstream artificial intelligence practitioners enjoy bragging about their achievements using deep learning and other AI techniques. They want us to believe that they are making progress toward true intelligence by making machines that can beat a human expert at board games like chess or GO. Don't let them fool you. None of it has anything to do with artificial general intelligence (AGI). In spite of the hype, their brand of AI could not be used to perform the simplest tasks that humans have no trouble with. The robot cook I am talking about is hopelessly beyond their capabilities. I want to obtain the necessary funds for my project without raising suspicions from ill-intentioned parties. My current plan is to offer a device for hearing impaired individuals that would enhance foreground speech while muting all background noises, including other voices. Many hearing impaired people have trouble tuning out unwanted noises from a conversation. They don't so much have a hearing problem as a problem with their attention mechanism. This is not a problem that can be solved with ear plugs at this time. It requires significant computing resources which can only be provided by a more powerful device such as a smartphone. My plan is to market this product as a smartphone app. 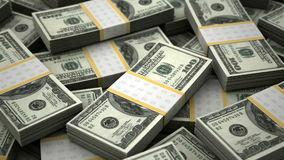 The worldwide hearing aids market is in the billions of dollars. Such an app could potentially help me raise all the funds I need for my robotics project. I refuse to accept any investment from third parties. Wish me luck.